The City of Encinitas Senior Citizen Commission in partnership with the Encinitas Rotary Club is pleased to announce that they will be honoring individuals for the 2018 “Senior Citizen of the Year Award” and “Service to Seniors Award”. Both awards will be based on nominations made from the public. The “Senior Citizen of the Year Award” recipient will recognize a deserving senior citizen who embraces lifelong learning, outstanding volunteerism, leadership, and/or helping, teaching, mentoring or advocating for others in the City of Encinitas. 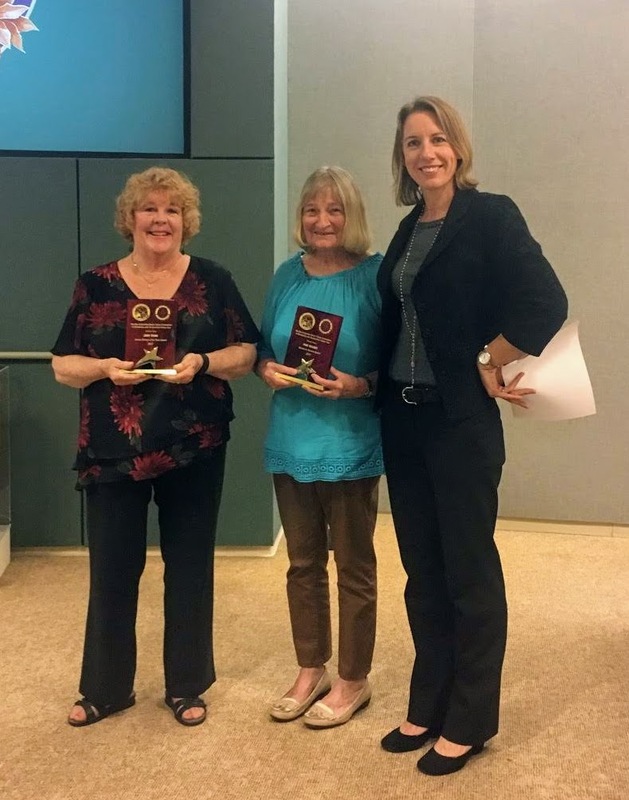 The “Service to Seniors Award” will recognize a deserving citizen who through their daily work or as part of a volunteer effort has made a demonstrated impact for senior citizen(s) in the City of Encinitas. Both awards will be based on dedication, overarching commitment, and demonstrated impact of those served. Recipients must reside within Encinitas. Award recipients will be honored at a City Council meeting with a perpetual plaque housed at the Encinitas Senior Center. Additionally, they will be recognized as the guests of honor at an Encinitas Rotary Club luncheon, and invited to participate in the Encinitas Holiday Parade as a special guest of the Senior Citizen Commission. Anyone may nominate an individual by completing a nomination form and returning it to the City of Encinitas, Parks and Recreation Department, 505 South Vulcan Avenue, Encinitas, CA 92024 between December 27, 2018 and February 14, 2019. *Senior Citizen Commissioners are not eligible to make a nomination. For more information regarding these awards, please contact Christie Goodsell, City of Encinitas Senior Center Manager at 760-943-2251 or [email protected]. The City of Encinitas Environmental Commission inaugurated the Environmental Award Program in June of 2015. This program recognizes and congratulates individuals, organizations and businesses in the City of Encinitas, for exceptional environmental achievements. The Encinitas Environmental Award Program presents two awards annually; one for individuals or non-profit organizations, and one for businesses. Candidates are peer-nominated and must be Encinitas residents or located in Encinitas. Winners are selected by a jury of recognized environmental leaders.